Huge Bundle Pack at a great price! You choose any 50 packs you like from my shop. Any paper, clip art, washi tape, or font. Great deal! 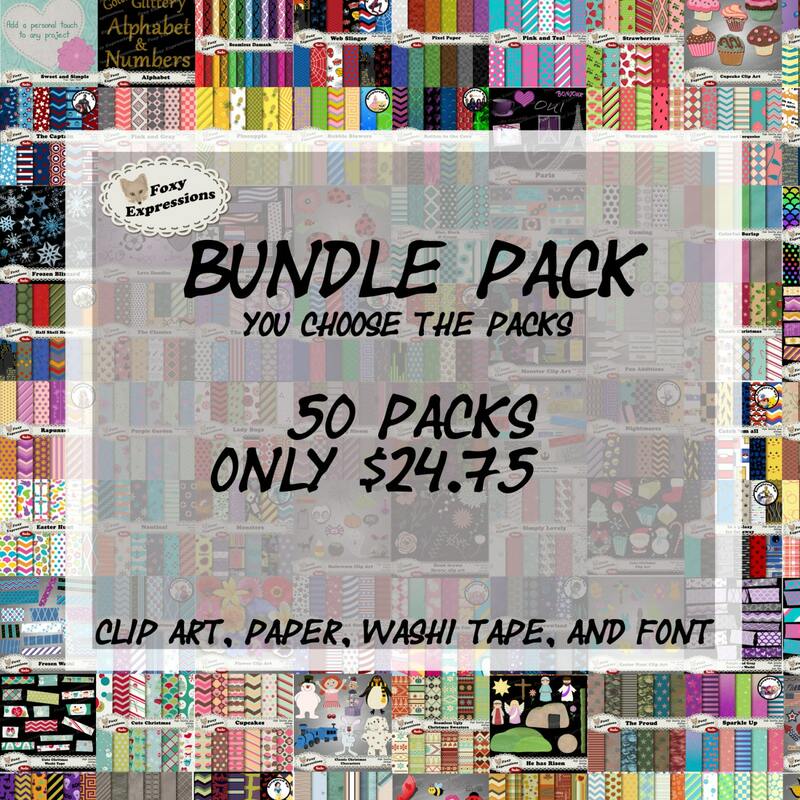 This bundle pack is great for scrapbooking, card making, home decor projects, invitations, photo albums, craft projects, collages, web graphics, stationary, zazzle projects, cafe press designs, and so much more. This is a build your own bundle pack so you have two ways to purchase this item. 1) You are more then welcome to add this item to your cart and in the message to seller just list the 50 packs that you are wanting to purchase and an email address that you are wanting them sent to. They will be delivered to your email in the next few hours (I apologize for the wait but I will be emailing them by hand). 2) Simply look around my store and add the 50 packs to your shopping cart. At check out use this bundle code 50BUNDLEPACKS . Once purchased Etsy will send you a email with a link to download all your files.